Cathy Lynn Erickson, age 61, a resident of Lindale Texas passed away March 11th, 2019, 8:18 PM, at Christus Mother Frances Hospital after courageously battling multiple complications from open heart surgery on May 1, 2018. Cathy was born on October 9th, 1957 in St. Louis, Missouri to Paul Wayne and Carole Anne King there she grew up in Glasgow Village just outside of St. Louis with her brother Gary and two sisters Lorie and Pamela. After her schooling Cathy had two children Robert Watson III and Kimberly Hood and was currently married to her loving husband Earl Charles “Chuck” Erickson. Cathy held many jobs in her lifetime with the latest two being a river boat deckhand and security officer in Saint Charles, Missouri. And an electronics assembler for a government contractor company, DRS Airborne and Intelligence Systems in Ft. Walton Beach, Florida ending in 2005. Cathy was a Christian and enjoyed decorating, fishing, crocheting, shopping and had a deep love for her current dogs Chi Chi, Frankie and Waffles. Before moving to Texas in September 2017, Chuck and Cathy lived in Florida and Missouri the majority of their married life. Cathy was preceded in death by her mother Carol King and sister Lorie (Acord) Choate..
On Cathy’s side of the family she is survived by her husband Earl Charles “Chuck” Erickson of Lindale, TX, father Paul King of St. Charles, MO, brother Gary King of Jefferson City, FL, sister Pamela Good of New Port Richie, FL, son Robert Watson III, his fiancé Leslie King, and two grandchildren Mason and Madison of Jacksonville, FL, daughter Kimberly Caperton and her husband Matthew Caperton of Green Cove Springs, FL. 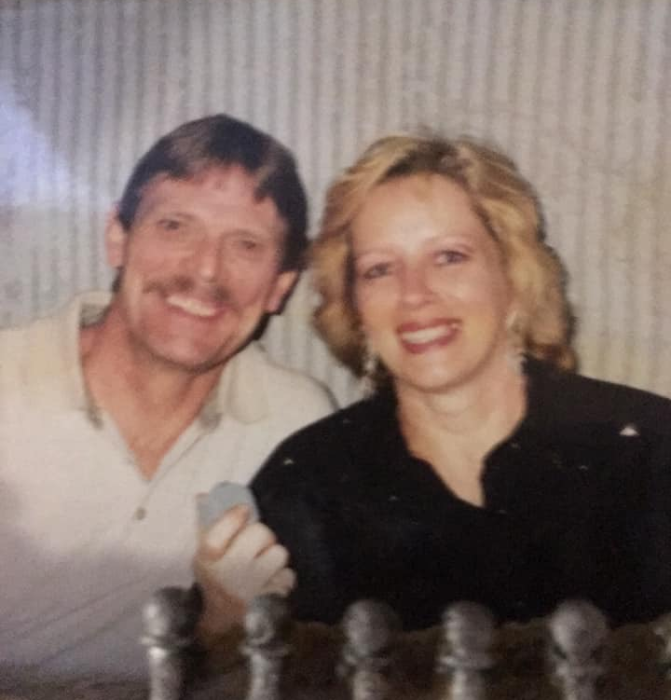 On Chuck ’s side of the family she is survived by step daughter Nicole Stobaugh Erickson and step grandchildren Kalina, Jaden, Lucia, Leanna and Micah of Paulden, AZ, step daughter Cheryle Lee, her husband Nick Lee, and step grandchild Miranda of Lavon, TX. Ingram Funeral Home of Quinlan, TX cared for her body after death and her cremains were sent to daughter Kimberly Caperton for a family service to follow in Florida.